Performing scheduled maintenance is essential to keeping your BMW running safely and reliably for many years and miles. We develop relationships with BMW owners, providing honest, reliable—and more affordable—service when you need it. 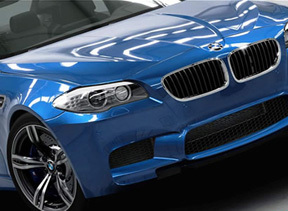 BMW Intermediate Oil Service: This inexpensive oil change service is typically needed every 5,000-10,000 miles. BMW Oil & Safety Service: In addition to an oil and filter change, this check includes inspection of critical systems including brakes, indicator lights, rubber belts and hoses, engine coolant, steering linkage, and suspension components. We will also check for fluid leaks, check wipers and wiper fluid, check tire pressure, check the horn, and check dashboard warning lights. BMW Inspection I: Also known as Minor Service, this smaller overall system check is recommended on 1986-1998 models at 20,000, 60,000, and 100,000 miles. On 1999 and later models, it is recommended at 30,000, 90,000, and 150,000 miles. BMW Inspection II: Also known as Major Service, this more extensive service is recommended on 1986-1998 models at 40,000, 80,000, and 120,000 miles. On 1999 and later models, it is recommended at 60,000 and 120,000 miles.